Inspired by nature and colour, L'urv is for vitality, creativity and positive living. With limited edition designs and contemporary colours, L'urv's women's sportswear will ensure you standout in the gym and on the street. The perfect fusion of fashion and function. 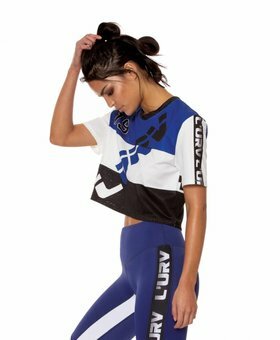 Stylish and comfortable, L'urv's sportswear extends beyond dance, yoga and fitness to your everyday wardrobe. With directional silhouettes, unique detailing and modern styling. L'urv's activewear allows you to workout without losing your cool. It’s made from superior fabric and quality materials, moisture wicking, performance fabrication for a tightened silhouette, improved circulation and structural support. World class nylon fabrications with high spandex content, will lengthen and lean your shape, providing structural support and aiding muscle recovery. 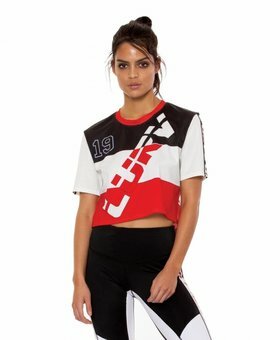 Designed in Melbourne, L'urv is the only Australian boutique fashion label made specifically for sports fashionistas, fitgirls, fashion lovers. L’urv is beautiful, it's trendy & comfortable. It's absolutely fashion! Each collection is amazing the colours, prints, details, fabrics and designs. L’urv is so much more than sports fashion or sports apparel. 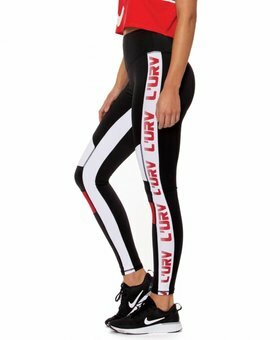 L’urv clothing provides you with a tight silhouette, moreover the high pants give you a long & lean figure.The worldclass used high spandex recovers muscle pain. So in short perfect for any workout. L’urv sportluxe is absolutely a must have for fitgirls, fitfoodies, fashionistas & fashion lovers.